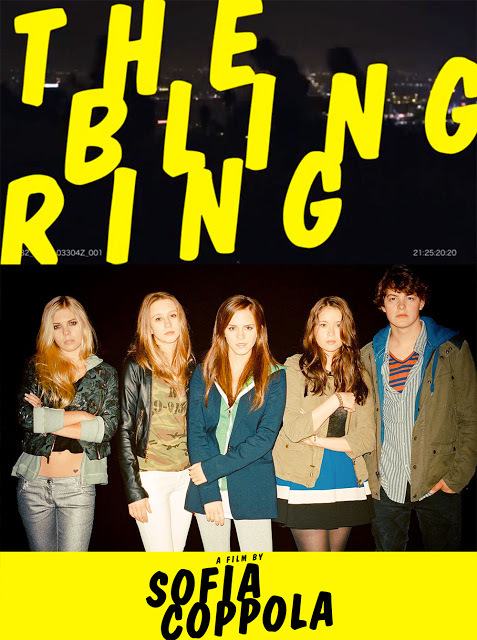 It’s hard to watch Sofia Coppola’s 2013 The Bling Ring, which came out on DVD about a month ago, without feeling like you’re at the end of a chain (no, I didn’t say human chain) of recycled celebrity worship. The film tells the story of a group of vapid and glamour-obsessed teens in LA who figure out just how easy it is to break into celebrities’ houses and abscond with their blingiest objects: their antique Rolexes, their Alexander McQueen sunglasses, their Louboutin heels. Rather than covering their tracks, they post appalling selfies on social media, displaying both their intimacy with the celebrities and their rool-breaking teen fearlessness. When they’re caught, they act with a maddening sense of clueless entitlement, asking if they can just give all the stuff back. The teens then become mini-celebs themselves, fawned upon by local media because of their famous victims. The kids are mostly horrible. Emma Watson’s character is especially vile, pouting “I want to rob!” in one scene and then, when she’s caught, excusing herself: “I think this situation is a huge learning lesson for me.” But the movie gives you no easy position of moral judgment, because it of course replicates the very glamour it criticizes, down to the list of luxury brands thanked in the credits. The movie’s pleasures are the same as the teens’: the supernatural ease of breaking into beautiful homes (it seems no harder than clicking on a link), the pleasure of the stolen glitter and silk, and the fact that they get away with it for so long despite their obvious stupidity. The LA night is soft with marine haze, and celebrity houses in the Hollywood Hills are lit up like transparent gems. Moreover, the real “Bling Ring” teens, fictionalized with different names in the movie, were in some cases let off with probation because (as I learned from the DVD extras) the case’s LAPD detective served as a consultant on Coppola’s film. Simply by watching this movie, you’ve helped pervert justice. And yet, of course, you can’t really blame kids for growing up in a fantasy-addled society with no sense of moral accountability, a.k.a. America. The movie is clearly a satire, perhaps no better than we deserve, of a society where unfair amounts of riches are lying around for the taking. The kids get off with minimal jail sentences, yet they’re longer (must I say it?) than those served by any of the bankers who caused the 2008 financial crash. Parts of the satire are quite delightful, especially the scenes in which a mother, played by Leslie Mann, attempts to home-school her coke-snorting daughters according to a religion based around the greedy magical thinking of The Secret. The movie’s emotional core, such as it is, is pity for the group’s lone male (Israel Broussard), who yearns for human connection. When he gets adopted by a clique of bad-news party girls, he’s never been happier in his life. Sofia Coppola’s movies about luxury, and the luxurious moods of regret and anomie, are sometimes dismissed—altogether wrongly—as self-indulgent, when in fact they crackle with timely self-awareness. 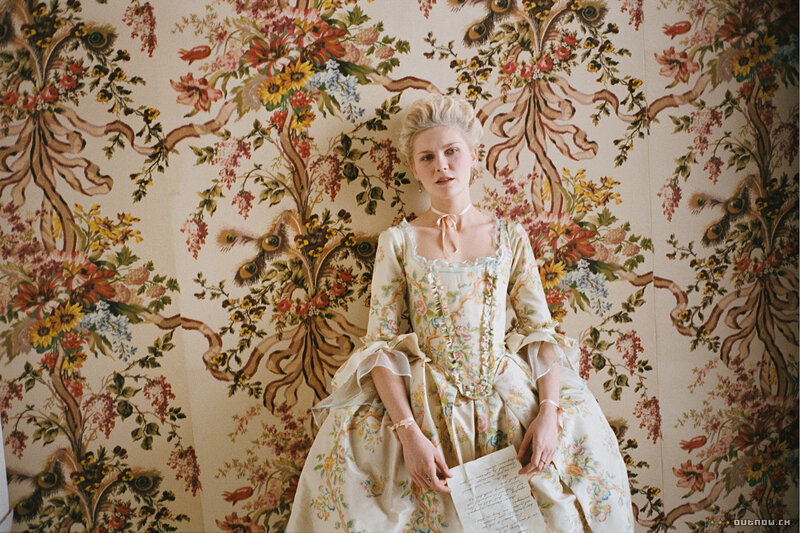 Her 2006 Marie Antoinette is one of the loveliest and most knowing 9/11 allegories of the oughts: for how could you blame the sad pleasure-seeking Queen for the injustice of the ancien régime? She’s guilty—of having enjoyed herself—and yet she’s not guilty, since she was merely the most visible symbol of a whole system of inequality. When America was attacked, we were similarly shocked, and felt like, and were, innocent victims; and yet were we not also guilty of eating cake while others starved? We both were, and were not, guilty of those crimes. The fun-loving Marie Antoinette is punished excessively, and yet she was raised to do exactly what she did, and so had really no way out. Casting a naïve young person as an allegory for American decadence is an ambiguous gesture that gets to the heart of what it feels like to live with consumerist blindness, and how we exonerate ourselves from amorphous feelings of guilt. I have mixed feelings about this: I think that in pop culture terms, most of the last decade has been about trying to ignore the consequences of American mistakes at home and abroad by either retreating to a childlike world of wonder, or pretending life is an endless dance party. You can’t charge children for the bills rung up by their parents, can you? Morally you can’t, and yet economically apparently you can. The adults got away without paying, so maybe if young people don’t think about it, and distract themselves with partying, the stolen goods under the bed will just magically go away. The color schemes of Coppola’s movies have charted the evolving moods of baffled, quasi-blameless American overprivilege. Lost in Translation (2003) was rootless, pale, bleached by anxiety; Marie Antoinette was full of delicious pastels and false hope. The Bling Ring goes for neon: the opening credits are chartreuse, and the shiny rolling suitcase that Rebecca steals from Lindsay Lohan and wheels off into the sunset is hot pink. Neon is no longer anxious: it’s shameless, it’s fearless, YOLO. It’s the death of alternative culture, in which youth adopts a pose of alienation from the market: these kids are happy conformists. They’re criminals, and they know it, and they sort of get away with it. The moral framework of self-loathing in The Bling Ring is both inadequate to the nature of the problem, and a step in a new direction. While the death of Marie Antoinette is tragic, these kids are just corrupt, and the corruption of their culture is not enough of an excuse. Should they have to pay? Will we have to pay? This entry was posted in Movies and tagged Anomie, Bling Ring, Debt, Decadence, Economic fantasy, Emma Watson, Kids today, Marie Antoinette, Sofia Coppola, YOLO. Bookmark the permalink.